In 2011, you just missed getting 100 RBIs and a .300 average. What is your philosophy about personal statistics in relation to goals? I don’t get caught up in numbers. I think when you start doing that, you start disrespecting the game. You start forgetting what your main focus is, and that’s winning and helping your ball club to win. Last year was the best year because we were the world champions. At the end of the season, you’re going to have plenty of time to look at your numbers. I think the main thing that I pray about every day is to stay healthy and then go from there. 1. Don't get caught up in the numbers. If you're tracking NPS, loyalty, or satisfaction metrics, great. Capture feedback and focus on improving the experience, not the score. Analyze and operationalize the voice of the customer and improve processes, products, service, etc. The score can rally the troops around the right thing, but the score shouldn't be the primary focus. 2. When you focus on the score, you disrespect the game. Absolutely! When you focus on your chosen metric and how to move the needle, your focus is misplaced. (And what if you're tracking the wrong metric? What if it's one that doesn't matter to or correlate with the customer experience.) You are likely doing tactical things to move the needle, but you're not looking at the big picture or thinking strategically to improve the overall experience... and ultimately, to the grow your business. Do you know who your customers are? Have you mapped your touchpoints? Do you know what interactions happen at each touchpoint? Did you know that customer service is just one part of the customer experience? 3. You forget your main focus. You forget that it's not about the score; it's about giving it your best to win the game. It's about using that voice of the customer to deliver a superior customer experience - one that has been designed from the customer's viewpoint. It's about building a culture that facilitates and enhances the experience, for both employees and customers. Remember that when you take care of your people, they will take care of your customers, and the business will win. The players are your employees, and when they are all working together for a common goal, the team wins. 5. Raving fans. What's a baseball team without its raving fans? What's a business without its raving fans - both employees and customers? 6. Plenty of time to look at the numbers. Albert is right. You can look at the numbers at some point because they'll be an indicator for you as to how well the business is doing, but if you look at the numbers every day, it will just drive you nuts. If you track the metrics daily, you're not thinking strategically about the game and what it takes to win. You're only thinking about how you can move the number tomorrow. Don't be short-sighted! 7. Stay healthy and go from there. The difference between expectations and performance leads to satisfaction (or dissatisfaction). Identify customer needs and expectations and work to not only meet them but to exceed them, regularly. Transform your culture into one that is healthy, one that puts the customer's viewpoint at the center of every decision. 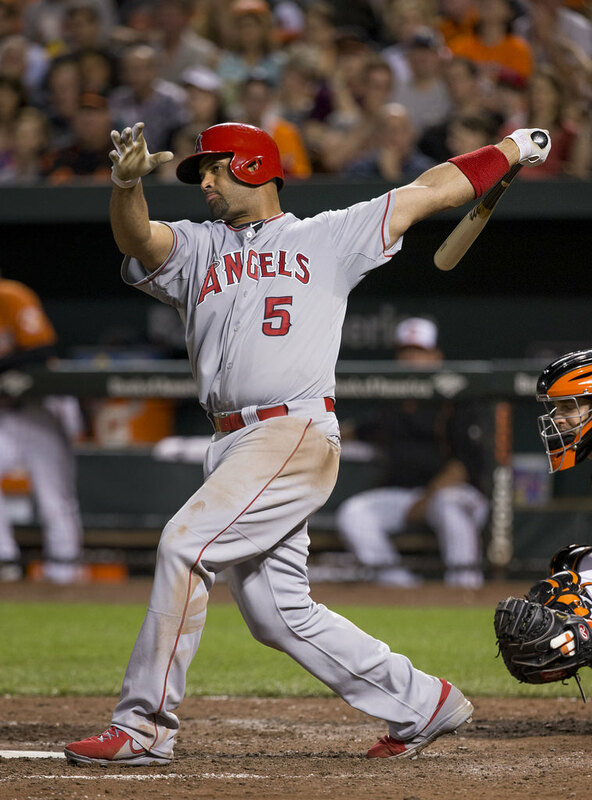 Albert had a rough start to the season, joining the Angels this year with an impressive home run history and an out-of-this-world contract. Expectations ran high. He fumbled (yea, I know, mixing my sports) out of the gate. Was he focusing on the numbers? Everyone else around him (media, fans) certainly was. He finally got his footing, and once he hit that first home run, he started doing so regularly. Perhaps he settled in, forgot about focusing on the score, and started to play the game. Lesson learned.